Synopsis (from GR): Ruby never asked for the abilities that almost cost her her life. Now she must call upon them on a daily basis. Other kids in the Children's League call Ruby 'Leader', but she knows what she really is - a monster. My thoughts: Unlike a lot of second books in trilogies, Never Fade didn't leave me feeling disappointed. 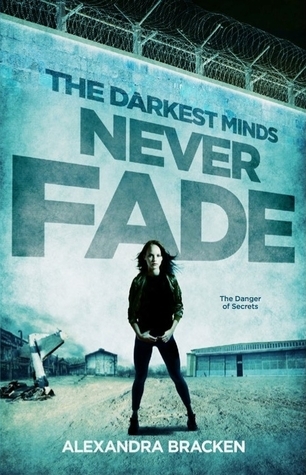 Quite the opposite - Never Fade was everything that I wanted from The Darkest Minds and more. All of the questions that I had walking away from The Darkest Minds were answered, setting up some of my FAVOURITE THINGS TO READ ABOUT - a bit of political intrigue (President Grey, what have you been up to?) and a bit of mystery surrounding the 'disease.' I'm so excited for In the Afterlight, I reserved it about thirty seconds after finishing Never Fade. Ruby is an interesting heroine, and one hard to get a read on - when it comes to emotions, she plays them pretty close. She constantly has walls up (which comes as no surprise, given her backstory), and that comes through in her narration. Unlike The Darkest Minds, where Ruby was softened by the presence of Liam, Zu, and even Chubs - Ruby has no interest in forming any kind of relationship with Jude and Vida, and the ending of The Darkest Minds has meant Ruby is on edge around Chubs and Liam. Her only goal is to survive, and so at times Ruby comes across as very cold and clinical - I could see some similarities between Ruby and Katniss Everdeen in this book. What blew me away with this one was Bracken's characterisation. I don't know if I just felt more connected to the characters this time around, but I really cared about what happened to all of the main cast - and we had a couple of new characters introduced, so I feel like that's saying something. My favourite addition to the main cast is Vida. I particularly loved her scenes with Chubs (CHUBS!!! I thought you'd died) - Vida is stubborn and has a bit of a chip on her shoulder, so she talks tough and tries to outsmart everyone around her, even when there's no need to. Chubs, naturally, is frustrated by her and so there's a lot of... banter between them. Another favourite was Cole, Liam's older brother. He's a lot harsher than Liam, and his experiences in the Children's League have formed who he is as a person. There's also a small surprise concerning his character at the end - I will be interested to see if this is further developed in the last book. My only complaint (in terms of characters) is that Bracken didn't really develop some of the side characters (like Knox), so they came off as one-dimensional and flat. Villains for the sake of being villains, if you will (I remember complaining about this in my review for The Darkest Minds). My other quibble is the pacing - it felt inconsistent. The first half of the book was kind of slow, setting things up and introducing events that I felt weren't that relevant to the overall plot (although they could be important in the final book, who knows?). The second half of the book was one action scene after another, the plot was moving along rather quickly. It felt like it had just been crammed in there - the book was around 500 pages, but I feel like it could've been much shorter, with better pacing and editing. I think the reason the first half of the book felt so slow was because of all the info dumping - Ruby was telling us about her training, her missions and what she'd been up to since we last left her. 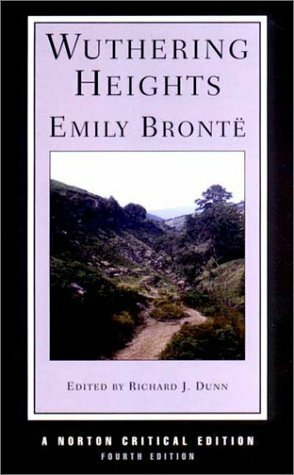 Bracken did a lot of telling, rather than showing, which made for an uneven tone in the book. Nevertheless, I really enjoyed this one, and can't wait to read the final book!